KashFlow does allow you to change a reconciliation, however please note that editing a reconciliation should only be required in exceptional circumstances. If you’ve modified a transaction that has been previously reconciled; it will become unreconciled this will affect all the balances going forward, meaning all reconciliations subsequently will be affected and need to be re-reconciled. 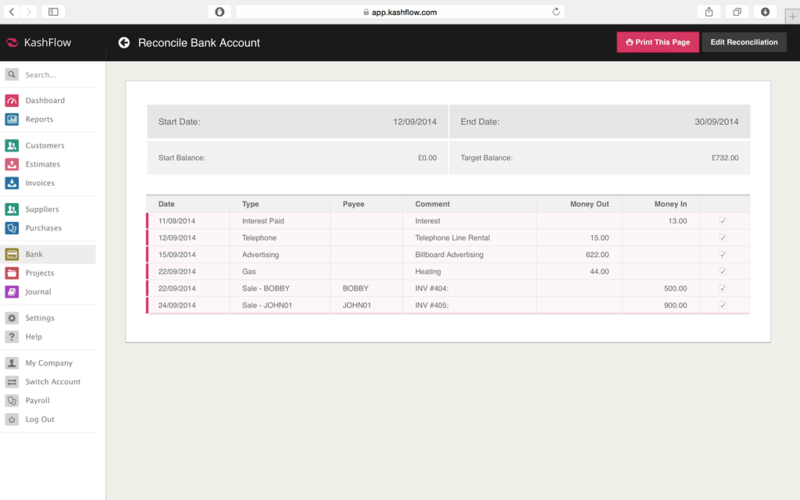 To edit a reconciliation click Bank > Reconcile. 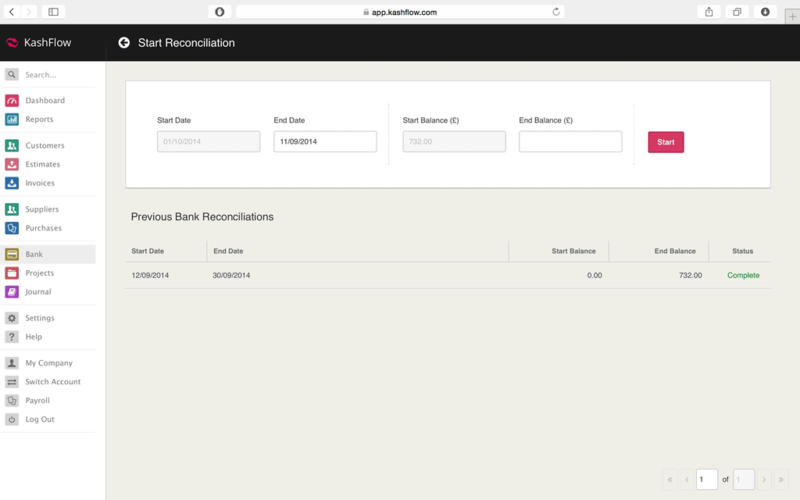 The bottom part of the page selects your previous reconciliations, select the reconciliation you want to modify by clicking on the row to access it. After that click the Edit Reconciliation button at the top. 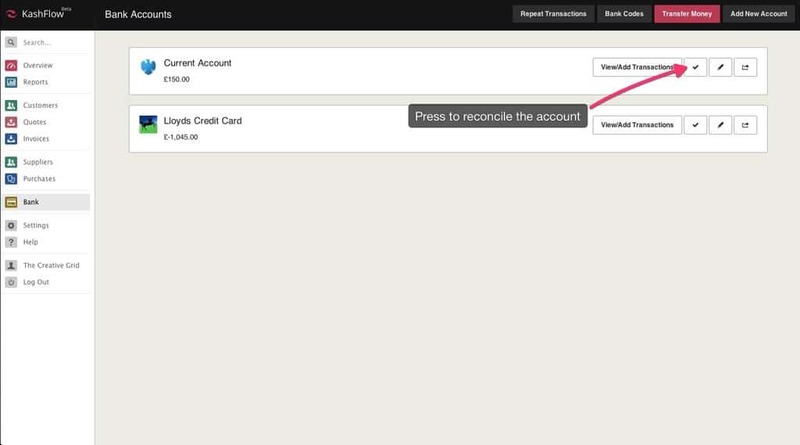 You’ll then have the opportunity to tick any modified transaction which has been flagged as unreconciled, you may need to press the Refresh Transactions button. To save this reconcilation, just click the Reconcile Now button. Editing a reconciliation does not allow you to change the statement balance. 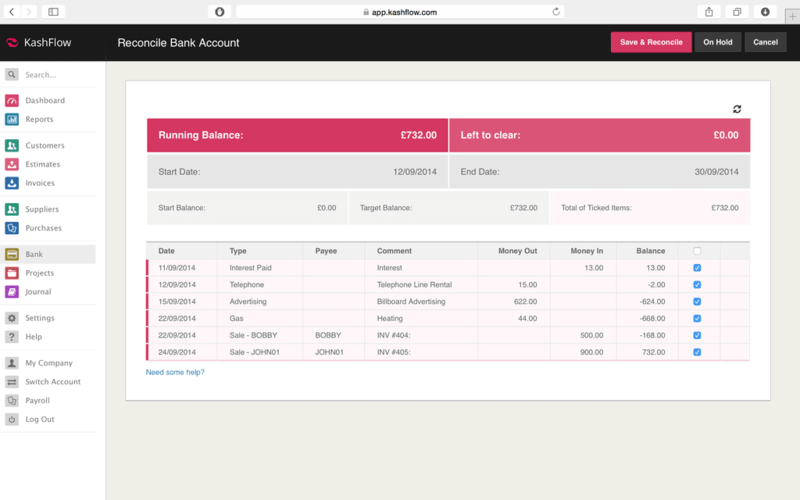 If your balances have changed for this reconciliation period you will need to edit the reconciliation and cancel it, this can be done by clicking the Cancel button when editing the reconciliation. All transactions will be marked as unreconciled. You will also have to abandon all reconciliations since that point and re-reconcile from the beginning.